Define and discuss, while providing examples of, salutary neglect. Be prepared to discuss salutary neglect's significance in American history. 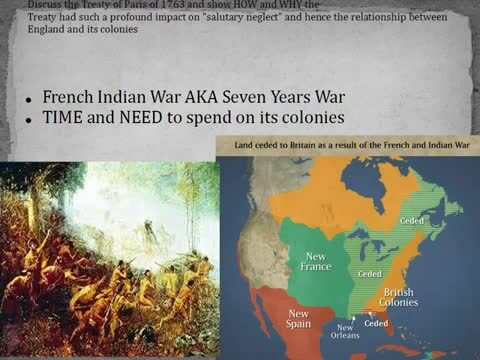 Also discuss the Treaty of Paris of 1763 and show how and why this Treaty had a profound impact on salutary neglect and hence the relationship between England and its colonies.